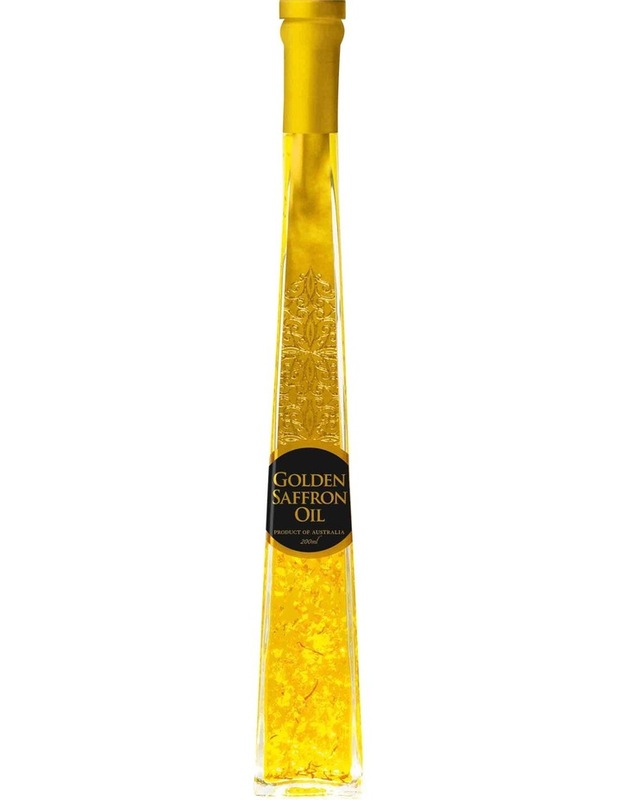 Ogilvie & Co's Golden Truffle Oil is a blend of premium Extra Virgin Olive Oil sourced from the south west of Australia with flakes of black Perigord truffle grown in Manjimup and 23 carat edible gold flakes. Designer finishing products for the perfect 'plating up'. Created with the home Master Chef in mind, just a drizzle of this gold range on the plate before serving will impress the guests!! The ultimate gift for that person who has everything! Ogilvie Gold Range re-defines luxury & refinement in fine food. Both in look and taste. Olive oil, truffle aroma, dehydrated black truffle (tuber melanosporum) (0.25%). Manufactured on premises that handles Peanuts, Tree nuts and sesame seeds.